When it comes to strokes, time is not only money… time is impacting potential brain damage. For every minute that a stroke limits blood supply, nearly two million brain cells are lost. However, this doesn’t have to be the case. Since 2015, the gold standard for treating certain strokes is the removal of the clot or obstruction using neuroradiology interventions. Unfortunately, only a small percentage of patients are able to receive this treatment in time. But Dr. Chris Mansi plans to change all of that. With his recently FDA-approved artificial intelligence neuroscience platform, Viz.AI, AI in neuroscience and stroke care is making a bold difference. Putting AI and neuroscience together is the next big innovation in treating stroke victims. 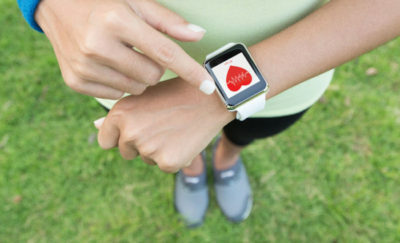 As an FDA-approved platform, Viz LVO is a computer-aided triage and notification system offering artificial intelligence stroke care. Typically, large vessel stroke patients must receive imaging studies, have these interpreted, and be transferred to a specialist for treatment. But the delay in this process is a serious problem. In fact, the time from the imaging study to notification of a stroke team averages over an hour. Research has shown that for every minute of delay in stroke care, another week of disability is added. Overall, stroke is the number one cause of disability in the U.S. Stroke is also the fifth leading cause of death. Estimates regarding the costs of stroke in the country exceed $220 billion annually. And without treatment, strokes can cost as much as $1 million per event. But with treatment, this cost can be reduced ten-fold. These statistics are evidence of how AI neuroscience breakthroughs could be beneficial. This was Viz.AI’s vision when it introduced its AI stroke care application. A few innovative companies have already begun blending AI and neuroscience, and it is yielding results. Viz.AI’s flagship platform in artificial intelligence neuroscience care is Viz LVO. 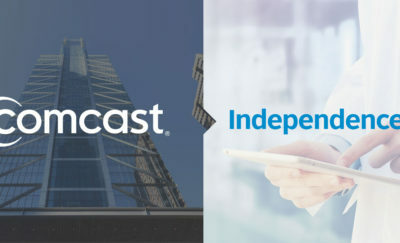 But the company has several other machine learning platform applications as well. For example, Viz CTP provides physicians and researchers with color maps that correlate with the brain’s blood flow. Viz Hub is a HIPAA-compliant telecommunications tool that helps coordinate care among providers. And Viz View provides a non-diagnostic quality, mobile imaging platform for neuroimaging sharing. All of these are utilized as part of Viz.AI’s artificial intelligence stroke care platform. The proof of Viz.AI’s artificial intelligence neuroscience platform is in its results. When used, Viz LVO reduces the time from imaging to specialist notification to an average of six minutes. How does it do this? CT scan images are interpreted by AI stroke care software. Then stroke team specialists are notified of the results, the patient’s exam, and the need for care. All of this happens seamlessly on a mobile device using the Viz.AI application. The use artificial intelligence for CT image interpretation has been the revolutionary piece that offers tremendous potential for stroke care. If processing data faster means saving lives, then mixing AI and neuroscience is a “no-brainer”. Viz.AI, Inc. operates out of San Francisco and is led by CEO Chris Mansi, MD. A former neurosurgeon, Dr. Mansi practiced in London for many years before studying applied technologies at Stanford University. It was here that he met David Golan, a machine learning researcher. 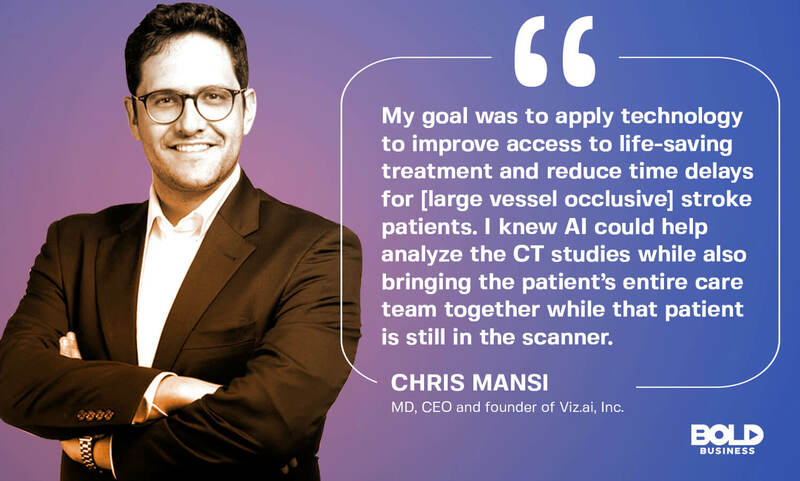 The two paired up and launched Viz.AI, Inc. Their initial vision was to revolutionize stroke care through artificial intelligence technologies. But Viz.AI plans to explore an array of AI neuroscience solutions in the future. If their effects are comparable to Viz LVO’s impact on stroke care, the future of AI in neuroscience care looks very promising.